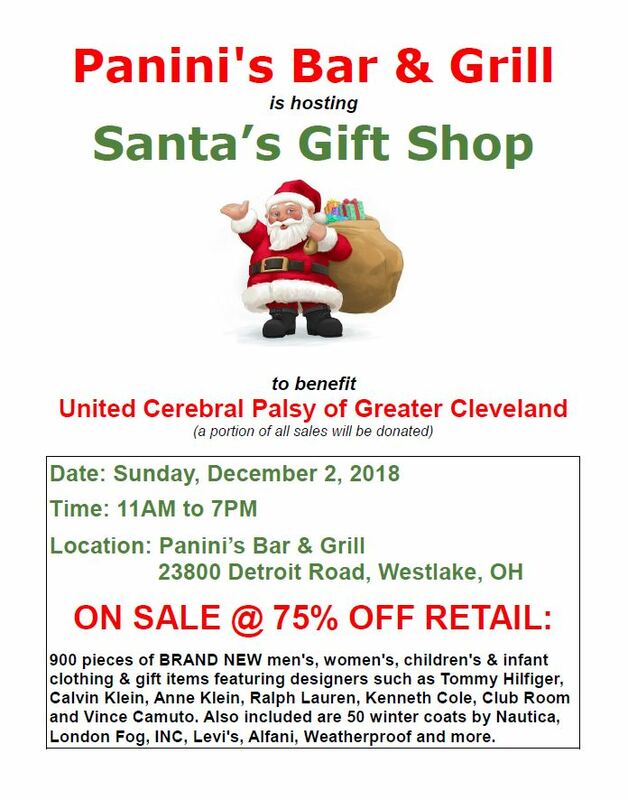 Come out to Panini’s in Westlake on Sunday, December 2 for Santa’s Gift Shop! There will be over 900 brand name clothing items on sale for 75% off retail value! A portion of all sales will be donated to UCP of Greater Cleveland. Get a good deal on your holiday shopping all while supporting a great cause. It’s a win-win! We are pleased to help others enjoy the blessings of the Christmas and holiday seasons.